This note considers the main criticisms that the Code of Conduct has been facing for several years, and which were confirmed during the multilateral negotiation meeting held in New York in July 2015. Also, this note underlines the fact that the identity of the Code itself is questioned by the international community and deserves particular attention. Seven years after the adoption of the draft Code of Conduct on space activities by the Council of the EU, Brussels felt ready to move forward. Indeed, several delegations had expressed the desire to see the Code move from consultation to the negotiation phase Welcoming remarks by Mr. J. Bylica, Principal adviser and special envoy for non-proliferation and disarmament, European External Action Service, New York, 27th of July 2015. And so the EU did: from the 27th to the 31st of July 2015, all countries were invited to New York to formally negotiate the Code during a one-week multilateral conference. The main objective of the conference was to engage in negotiations on the text, and - hopefully, although not as likely - open the Code to subscriptions. The last ambitious goal was dependent on the degree of support obtained in five full days of collective work. In previous years, though all actors agreed on the need to enhance security, safety and sustainability of space, the proposed Code had to face several criticisms, both on the procedure and content level. Did the five-day multilateral negotiation meeting succeed in smoothing out the main obstacles and in achieving some degree of support? Reading the different delegations’ statements Statements are available on the UN website. Accessed in September 2015. Certain countries (like India) submitted several statements, as did Brazil and BRICS in general. The US presented one statement, Russia and China none on their own (or at least none available on the UN website). NAM countries presented statements individually and as a group, namely the statement of Iran on behalf of NAM countries, Brazil, China and Russia. Other minor space-countries and NGOs presented statements too., most of the concerns about the Code are still valid, they have been expressed in a formal way and, at times, considered as pre-conditions to go forward. Beyond that, and perhaps never so clearly, has the identity of the Code—which stems from its scope Scope is intended here as the area covered by an activity, topic, etc. (area covered by the Code, area of application). About discussions on the scope, see for example Brazil’s Statement, 27-30 July 2015, NY.- been put into question. Parallel discussions on the negotiation process that the Code should follow are strictly linked to this issue. In other words, what is the Code and what is it not. Indeed, here seems to lie the core of the problem, which, incidentally, is far from being solved. Emerging countries or new/future spacefaring nations have advanced arguments concerning some of the procedures to which subscribers would be asked to commit. There is the fear that those measures could set up thresholds and limit their recent or future space activities See for instance BRICS joint statement regarding the principles of elaboration of international instruments on outer space activities, 27th July 2015, NY., unless a parallel cooperative effort in terms of concrete technology support and know-how sharing is implemented. Although the Code affirms the right of every nation to access and exploit space, and the reference is made to cooperation between space faring nations and emerging ones, this is not felt to be enough. Thus, in NY several countries recalled once again the importance of incentivizing developing countries by putting the emphasis accent on tangible cooperative efforts See for instance BRICS additional statement on mandate for future work on a possible Code of Conduct in outer space, 30th July 2015, NY..
Is a political commitment enough to ensure space security, safety and sustainability? In the past, some countries strongly criticized the fact that the Code was not legally binding, without any verification means and therefore not efficient. The logic behind this evaluation is quite clear and can be easily shared. Arguments supporting the Code, on the other hand, insist on the fact that due to the sensitivity of military activities (to which the Code refers), reaching a large consensus on a legally binding tool is a long and fruitless effort (as discussions at the Conference on Disarmament demonstrate). According to the Code’s supporters, space environment needs some urgent even if softer kind of engagement. Adhering to the Code would mean recognizing that the security, safety and sustainability of space is an issue; that it needs a collective response and that governments and private actors are ready to commit - at least at the political level - to act in a responsible way. In this respect, many delegations in NY (including Brazil, China, Iran, Russia and NAM countries) reaffirmed the fact that the Code should not bring any prejudice to the existing efforts to draw a legally binding instrument on the prevention of an arms race in outer space, which remains for them a necessity and even the priority See for instance Islamic Republic of Iran’s statement on behalf of the Non-aligned movement plus Brazil, China and Russia, 30th of July 2015, NY.. Other delegations insisted that the Code does not intend to duplicate or substitute See Mexico Statement, 27th of July 2015, NY.other ongoing initiatives. Those arguments were not convincing to everybody, as skepticism on the possibility to engage on a Code of Conduct seems to persist. Is self-defense an acceptable exception to the use of force in space? The explicit reference to self-defense - as one of the exceptions recognized by the Code to the use of force - has split the international community between those (most numerous) who do not intend to accept any alternative to the “without-exception” principle of keeping space a zone free of conflict; and those (less numerous) being in favor of maintaining a sort of freedom of action. The conference did not succeed in finding common ground of understanding on this specific issue, over which the BRICS and NAM countries continue to express “grave reservations” See Krepon, “Space Code of Conduct Mugged in New York”, 4 August 2015. On Arms control wonk. See also, for instance, Brazil’s statement, 27-30 July 2015, NY; and also BRICS joint statement regarding the principles of elaboration of international instruments on outer space activities, 27th July 2015, NY. The question is whether the EU is ready to remove explicit The Code asks subscribers to adhere to the UN Charter which recognizes the right to self-defense. Therefore, implicitly, such a right would be kept in the text of the Code. Discussions concern the fact of re-affirming that principle explicitly.references to self-defense, considering the large number of countries behind this position. In other words, in the frame of negotiations, is this exception a red-line for the EU? Apparently yes, as none of the versions of the Code has excluded such formulation yet. Questions then arise on the reasons behind this red-line. Is the Code regarded as the result of collective and inclusive work? One of the issues that the conference had to address concerned the process followed to propose the Code, which was conceived and elaborated outside the UN. The UN-GGE report on TCBMs in space supported the initiative of a tool such as the Code, and this report was endorsed unanimously by a GA resolution Resolution 68/50, endorsing the report of the Group of Governmental Experts (GGE)., but this was not felt to be sufficient to regarding the inclusivity of the process. Even though the EU engaged in discussions with more than 90 countries through Open-Ended Consultation Meetings, the core of the text was already drafted, the “identity” footprint already established. This gave the impression to some countries of facing a ‘fait accompli’ See Victoria Samson, ‘The ICoC: the starting point’, in « Awaiting launch perspectives on the draft ICoC on outer space activities » Rajagopalan and Porras ed., 201, p. 69. See also Swiss final statement, 30th of July 2015, NY. Moreover, despite the drafting of different versions of the Code, not all critiques and suggestions raised during those meetings seem to have been accepted and reflected in the text discussed in NY. The European choice to name an independent expert Public law and space law Professor Marchisio.to chair the conference (instead of being chaired by an EU Official) probably goes in this direction too: the EU wished to pull out and leave the task to moderate the debate to a neutral expert. Also, symbolically, UNIDIR was engaged to support the promotion of the Code and the conference was held in the UN Headquarters and with logistic support of the UNODA. Apparently, those moves did not convince in relation to the inclusivity of the process followed up to now. Indeed, in New York, many states (especially NAM and BRICS) claimed that the Code needs to be negotiated within the UN framework, with a UN mandate and with procedures based on the rule of consensus For instance, Islamic Republic of Iran’s statement on behalf of the Non-aligned movement plus Brazil, China and Russia, 30th of July 2015, NY. Also, Brazil’s statement, 27-30 July 2015, NY, and BRICS Joint statement regarding the principles of elaboration of international instruments on outer space activities, 27th July 2015, NY.. Venues named in NY and where the Code could be negotiated are the Conference on Disarmament in Geneva, the COPUOS in Vienna and the UN General Assembly. Whichever the venue, a UN mandate and consensus rule are sine qua non conditions for several countries See for instance BRICS additional statement on mandate for future work on a possible Code of Conduct in outer space, 30th July 2015, NY. See also India Statement on process/UN framework, 28th of July 2015, NY.. In this respect, European countries underlined the success of other negotiations carried outside the UN and reminded the risks linked to some UN instances (notably, CD) and, in general, to the rule of consensus. The key issue of the identity itself of the Code, and its scope, has finally been at the core of discussions in NY. In fact, when discussing about space security, two categories of risks are considered: intentional (i.e. use of antisatellite weapons), and unintentional (i.e. accidental collisions). Voluntary acts and involuntary ones both lead to satellite damage or destruction and the (very likely) subsequent creation of debris. When talking about security, safety and sustainability of space for future generations (that’s the aim of the Code), both categories are relevant and addressed. Dealing with the first kind of risks, - intentional aggression -, means dealing with the realm of defense, military activities and the use of (any-kind-of) device as a weapon By the way, not so many countries can realistically put in practice such a threat, although technologies like laser beams or jamming devices may seem more accessible.. It is precisely here that discussions and eventually consensus becomes particularly tough. In order to overcome the stalemate observed elsewhere on this topic, the original intention of those who proposed the Code years ago was to promote a tool addressing the crosscutting issue of security in space. Thus, the scope of the Code is intended to be comprehensive See Welcoming remarks by Mr. J. Byliça, New York, 27th of July 2015., which means large enough to apply to both civil and military activities in space, as well as to include the possibility of intentional damages. 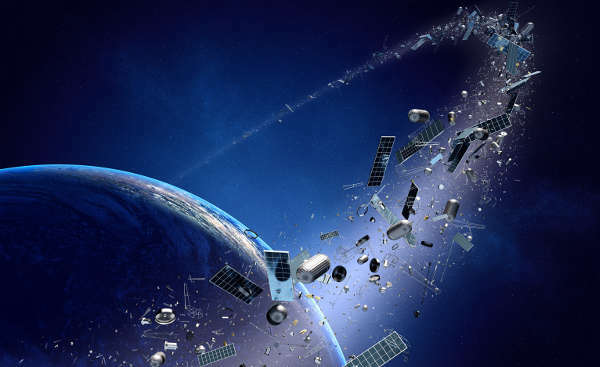 Yet, the Code doesn’t explicitly address the prevention of development and test of space-based or antisatellite weapons The EUEEAS refers to risks in space as follows: “dangerous space debris, destructive collisions (without specifying if intentional or not), the crowding of satellites, the growing saturation of the radio-frequency spectrum, etc.”. See EEAS website. Moreover, in its first version (2008) the text of the Code did not even mention concepts like weaponization, anti-satellite weapons, arms race or proliferation. Subsequent versions of the Code (i.e. version 2014) inserted a light reference to this, by mentioning the respect to existing Treaties and principles and by recalling the support to preventing an arms race in space. (wherever they are based), intending to avoid difficulties linked to issues such as defining what is a space weapon. The Code only notes, in the preamble, the importance of preventing an arms race in outer space. As Krepon puts it in one of its articles on the need for a Space Code of Conduct (2010), “[such a Code] would focus on responsible and irresponsible actions, rather than on what might constitute a space weapon” “A Code of Conduct approach could avoid difficult dilemmas associated with drafting a treaty banning the use of force in, from or through space. A Code of Conduct would focus on responsible and irresponsible. actions, rather than on what might constitute a space weapon”, in Krepon and Black, “An International Code of Conduct for Responsible Space-Faring Nations”, Stimson Center, 2010.. Therefore, even without naming weapons development, deployment or test, the Code clearly asks subscribers to “refrain from any action which brings about, directly or indirectly, damage or destruction of space objects” (2014 version). Also, the code answers to the UN GA resolution of 2006 inviting countries to identify transparency and confidence building measures (TCBMs) to, inter alia, avoid an arms race in space UN General Assembly Resolution, A/61/393, 2006.. Indeed, TCBMs are intended to avoid misunderstandings and potential escalations among space actors, and thus intentional damages. So, what is the Code and what is it not? Is it an arms control tool, or an anti-weaponization-of-space tool? The answer should be neither, as the Code does not ask countries to refrain from developing or deploying arms: it refers only to the use of some devices which may bring damage to other space assets. Moreover, the EU has chosen Vienna (and not Geneva) to present it to the international Community in 2012, as it does not consider the Code a tool to be negotiated by representatives dealing with military affairs. Then, is the Code simply a tool to curb the proliferation of debris, or to avoid unintentional collisions? Yes, but not that alone, otherwise TCBMs would no longer be necessary here, and the Code would be a duplication of existing initiatives (LTS guidelines, IADC… Long term sustainability guidelines. “In 2010, the United Nations Committee on the Peaceful Uses of Outer Space (UN COPUOS) established the Working Group on the Long-term Sustainability of Outer Space Activities. The Working Group is tasked with producing a consensus report containing voluntary best-practice guidelines for all space actors to help ensure the long-term sustainable use of outer space”. See Secure World Foundation, fact sheet, Updated October 2014. IADC (Interagency Space Debris Coordination Committee): “The primary purposes of the IADC are to exchange information on space debris research activities between member space agencies, to facilitate opportunities for cooperation in space debris research, to review the progress of ongoing cooperative activities, and to identify debris mitigation options.” See IADC website.). Also, the EU itself has attributed negotiations of the Code to the Non-proliferation and disarmament Unit of the external action service, which is probably not uncommon in other capitals, but it does have an impact on the perception that third countries may have about the Code. In other words, the two kind of risks are mixed up and the Code’s “identity” seems undefined, at least according to classic terms of reference (civil v. military; volunteer aggression v. accidental collision, etc. …). As previously said, this is the result of intentional moves to propose a civil-military-crosscutting tool with more chances of being endorsed than a Treaty on arms race in space. While the original intention is certainly noble, the debates in NY confirm that the Code did not succeed in overcoming the dichotomy between civil and military and that many countries were not convinced by this approach. Some countries such as Brazil, China, Cuba, Russia and NAM advanced arguments in NY for a Code addressing ‘peaceful uses’ of outer space only and excluding military space related issues See statements from BRICS, NAM countries, 27-30 July 2015, NY.. Consequently, procedural suggestions were made, and notably the fact that negotiations, then, should take place within COPUOS. As the Brazilian delegation puts it, “military uses must be addressed, but not by the Code, not here, not now, not by us” See Brazil Statement, 27-30 of July 2015, NY. On the other side, military activities seem to be of major importance for other countries, which do not want them to be excluded from the Code See statements from Sweden, Germany and the US, 27-30 July 2015, referring to the importance of addressing ALL activities in space, including military and aggressive ones.. As Krepon puts it, “critiques [in NY] focused on purposeful, rather than unguided and indiscriminate anti-satellite weapons [i.e. debris]” See Krepon, “Space Code of Conduct Mugged in New York”, 4 August 2015; Arms Control Wonk.. Some countries suggested that the CD would be the right place to negotiate the Code, due to its capacity to discuss military but also civil activities, as has happened in the past. Thus, process and procedures are not just an anodyne matter of form. Rather, it is a core issue, as it reflects the will of many countries to “put a label” on the Code, as a tool concerning civil activities and involuntary collisions, or as a tool addressing the weaponization of space and the use of force. The 2015 conference in NY has confirmed the existence of well-known obstacles: some countries asked for confirmation and support to free access to space for new and emerging space countries; many others felt absolutely uncomfortable with the self-defense clause. In this respect, it would be useful to know which are the “red lines” for the EU and therefore if there is any room for concessions. This is even truer in relation to the explicit reference to self-defense, as the number of countries asking for its removal seems to be quite high and, therefore, beyond any other effort, this can result in a serious limit to adhesions. Above all, the conference has showed that “all chickens come home to roost”. Despite the attempt not to name or focus on weapons, their potential use was precisely a major point of discussion. Thus, the international community has difficulties in adopting the approach proposed by the EU, which is discussing a comprehensive tool touching at both kinds of risks, going beyond them and looking at the problem from a higher perspective. Although some supported this approach and insisted on the fact that civil and military activities cannot be separated See for instance Sweden’s statement, 27th July 2015, NY. See also Mexico’s statement, supporting the EU approach, and stating that this kind of process should be considered as interesting and useful to continue negotiations avoiding UN paralysis., many countries are not ready to engage in formal negotiations on this base. The reasons behind this largely-shared position deserve a deep political analysis. Certainly, different factors contribute, like the different technological level of readiness concerning development and test of ASATs; the particular unfavorable moment in the relations of the EU with key space countries; as well as the reservations expressed on the Treaty on an arm race proposed by China and Russia. It is also worth considering whether, in the quest of large adhesions and future implementation, the approach adopted by the EU should be maintained, or if the two kinds of risks should be separated and a clearly label, and which one, should be attributed to the Code. Such a choice would certainly have an impact on the way to approach and discuss those unsolved issues named in this article. Last but not least, no matter which venue is chosen, it is quite clear that a large number of countries have asked for the Code to be fully inserted in the UN framework, to have a clear UN mandate, and to adopt different rules of procedure. The EU should consider this seriously, finding the right balance between requests of inclusivity and the risk linked to consensus. The result of one week work in NY, is that not only could the Code not be open to subscription: but that it could not even be formally negotiated, as procedures See for instance India opening statement, 27th of July 2015, NY.and core issues (its identity) are still questioned. Apparently, the encouragements received by the EU to move forward from consultation to negotiation were misleading Statement by Mr. J. Bylica, Principal adviser and special envoy for non-proliferation and disarmament, European External Action Service, 27-30 July 2015, New York.. Still, for those who prefer looking at the glass half-full, the conference succeeded in engaging 109 countries, 2 International Organizations and 6 NGOs during 5 days around the same table and topic, all of them participating actively in discussions with numerous statements. The conference surely had the merit to have led to a better mutual understanding and to nourishing ideas for the next steps. For the year to come, the ball goes back to the EU.